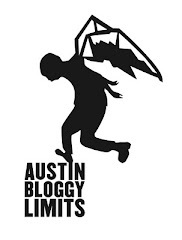 When the decision was made to move tapings of Austin City Limits Television to a brand-new studio in a high-rise, luxury hotel building downtown (gasp) many people were worried that the magic might be lost. As someone who has been lucky enough to attend tapings in both locations I can assure you that the magic of ACL TV isn't the building, the set, the lighting or even the stage. The magic of an ACL taping is being a part of history. It's the fact that this performance is part of a larger canon of performances. Performances by legends and performances that made legends. Performances that anyone with a television had access to. Nowadays you can watch a band's performance moments after it's taken place, or you can even stream them live from across the globe and that's cool and that's interesting but in a way it exists in a vacuum. Austin City Limits is special and the artists who give the most magical performances on the Austin City Limits stage are the ones who understand the significance of this 39 year tradition. Local Natives definitely understood that they were joining a legacy with their performance tonight. They were appreciative, they were humbled and they damn near flawless. Thanks to the Corporation for Public Broadcasting and VIEWER LIKE YOU, you can be a part of the special moment that was committed to tape this evening, in your very own living room, in the very near future. 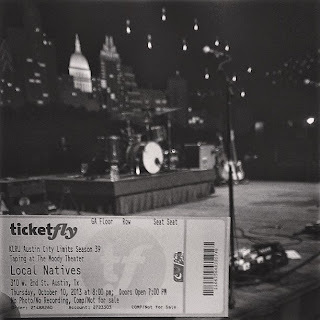 I have always considered myself an early adopter of Local Natives, turns out I was about a year late to the party. 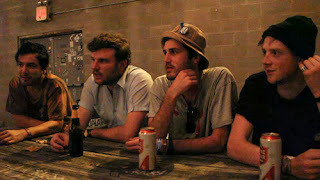 Regardless, the first time I saw them in April of 2010 I immediately recognized that they were a band on the rise. The essence of their greatness is simple: rhythms and harmonies. I know, I know, those are the basics of music, which is why they're such a killer band. Local Natives showcased their three part harmonies with stripped-down arrangements of songs from Gorilla Manor and they exhibited their stadium-ready song-craft with the songs from Hummingbird. In the three years since I first saw them, Local Natives have honed their craft, they've shuffled their line-up and with tonight's performance they proved to me that they have the chops to be a band that I will still pay to see a decade from now, which is saying a lot these days. 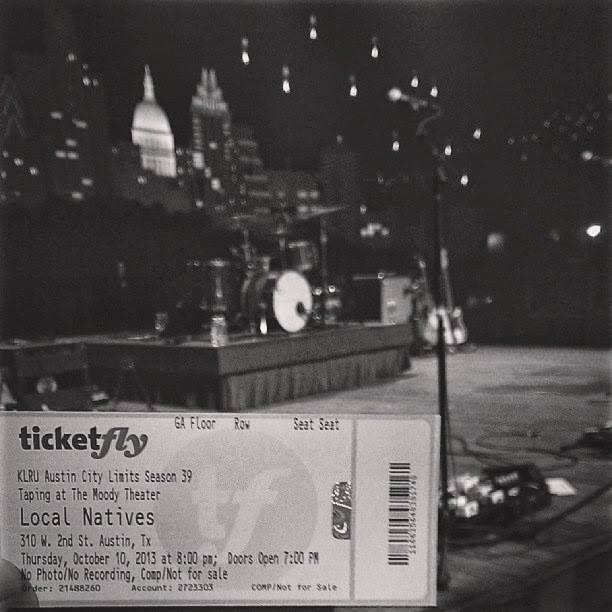 If you're planning to attend ACL Festival tomorrow, you can catch Local Natives at 4:30pm. Keep an eye on your local TV listings to watch tonight's performance at home. You guys, I almost forgot to write you a guide for the final day of the first weekend of Austin City Limits Festival. I went and saw The National with Thao & the Get Down Stay Down last night and I wasn't focused on helping those of you out who are attending the festival this weekend. So, let's get down to business shall we? After the break I've listed the highlight artists for Sunday of ACL Fest. Sunday is going to be a tough day for me. I'm not planning to attend the festival until next weekend but the fact that Neko Case, Shuggie Otis and Atoms for Peace all overlap is pretty brutal. Luckily, Neko is taping a set for ACL TV this week that I will be lucky enough to attend so, I'll just have to choose between Shuggie Otis and Atoms for Peace. Radiohead is my favorite band, so I'm inclined to see Atoms for Peace. However, seeing Shuggie Otis is an extremely rare opportunity. He is an R&B legend and I highly doubt he will perform in Austin again any time soon. Sadly, the same case could be made for Atoms for Peace. As a band, they rarely perform live ever, let alone perform live in Austin. The only true saving grace for me, is the knowledge that Atoms For Peace is playing a much longer set than Shuggie so hopefully I can catch some of each. I will say, I'm intrigued that Atoms For Peace has a 2 hour set considering they only really have one record. Although, the bad was originally formed to play Thom Yorke's The Eraser LP live, so I guess in actuality they have 2 LPs worth of material but still, can that last two full hours? I'm also a bit conflicted about the overlap of Phoenix and Tame Impala. They are both phenomenal live performers and you could actually catch bits of both artist's sets but I plan to choose Tame Impala. I love Phoenix but I've been lucky enough to see them about half a dozen times already including their performance for ACL TV. Tame Impala I've only seen once but they were so incredibly good that I need to see them again.